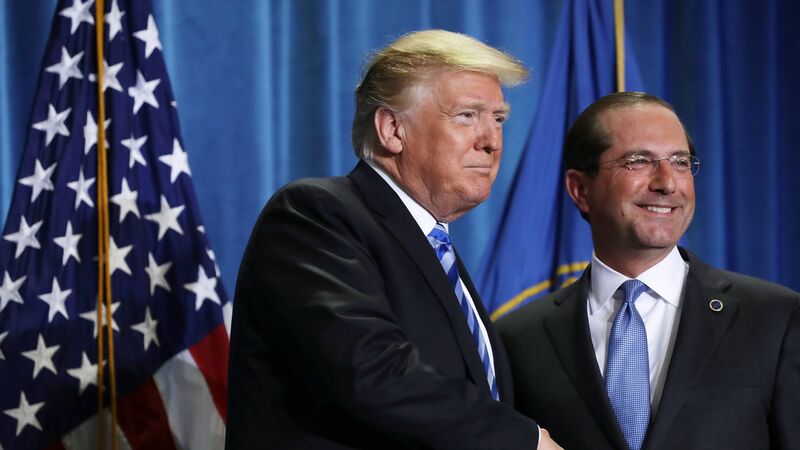 Legal challenges aren't slowing down the Trump administration's push to reframe Medicaid as something closer to a welfare program. Driving the news: The Centers for Medicare & Medicaid Services on Friday approved Ohio's proposal to add work requirements to its Medicaid program. Just a day earlier, Justice Department lawyers were back before the same federal judge who ruled against work requirements last year, urging him to let the policy move forward now. Where it stands: CMS has approved work requirements for 8 states, 3 of which have begun enforcing those rules. Several more applications are still pending. By the numbers: Ohio expects roughly 18,000 people to lose their Medicaid eligibility this year because of the new rules. In Arkansas, the first state to begin enforcing its work requirements, 18,000 people lost their coverage in the first 6 months. Those coverage losses are central to the lawsuits challenging these new rules. Federal law says the process through which CMS is approving these waivers should be used for ideas that serve Medicaid's goals as a source of health care coverage. Critics argue that work requirements don't advance Medicaid as a health care program, as evidenced by the fact that they cause so many people to lose their coverage. Judge James Boasberg seemed inclined to agree with that argument last year when he put Kentucky's work requirements on ice, and echoed similar concerns again last week as he weighed fresh challenges to both Kentucky and Arkansas' rules.